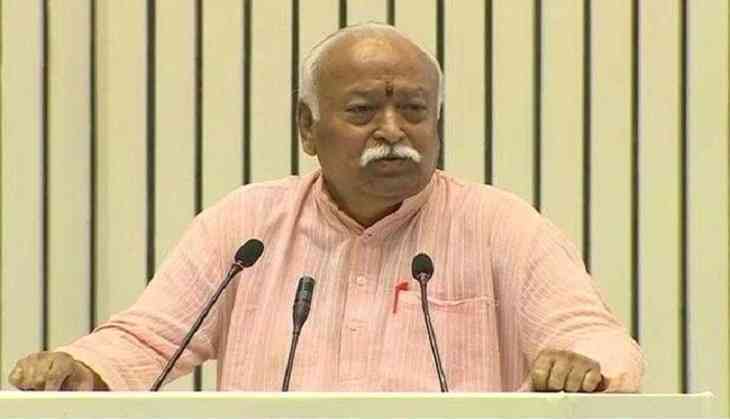 Rashtriya Swayamsewak Sangh chief Mohan Bhagwat delivered his first lecture out of the three-part on the perspective of RSS on the ‘Future Ka Bharat’ at Delhi’s Vigyan Bhavan on Monday. Bhagwat also spoke about that Sangh has to face criticism from its ideological adversaries. RSS chief has also talked about the role of Sangh in the National Movement and also thankful to the founder of the Rashtriya Swayamsewak Sangh, KB Hedgewar for his contribution for the Sangh. He also added that if you want to understand RSS then you have to start with Dr Hedgewar. Bhagwat also cited the three instances about the Hedgewar’s life which had driven him from home to the point. RSS chief said about the works of the organization founder that he had joined the Congress and also went to jail for India’s freedom struggle. While talking about the country’s freedom, he also praised Congress for playing a big role in the freedom movement. While addressing the gathering of distinguished guests, Mohan Bhagwat also stated that it was the Congress which had started a big freedom movement in the country and also gave great leaders to the country. Mohan Bhagwat also talked about the flag of RSS that there had been a lot of controversies regarding RSS’s stand on the National flag. Last year, Congress President Rahul Gandhi had also criticized the Sangh for saluting the saffron flag but not the National Flag for 52 years after Independence. Talking about the flag, Bhagwat said in his lecture that RSS offers guru dakhshina every year to the bhagwa dhwaja. He also rememorized the incident in Maharashtra's Jalan that how a Swayamsevak climbed up the mast when tricolour that was being hoisted by Jawaharlal Nehru at a Congress function got stuck. Bhagwat also clarified that RSS has always respected the tricolour flag of India.